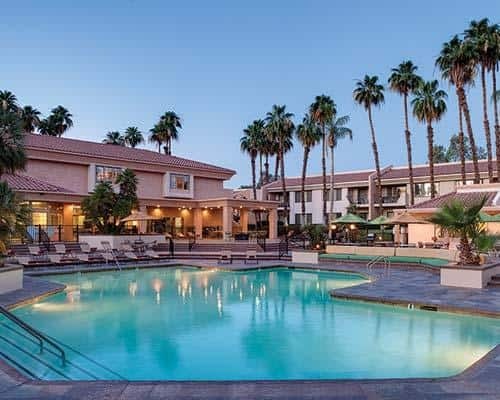 My husband and I travelled to Palm Springs for New Year’s Eve………we decided last minute that we wanted to get away so we booked this vacation on a whim. My husband found a deal on Expedia that included our flight, hotel, and car rental. 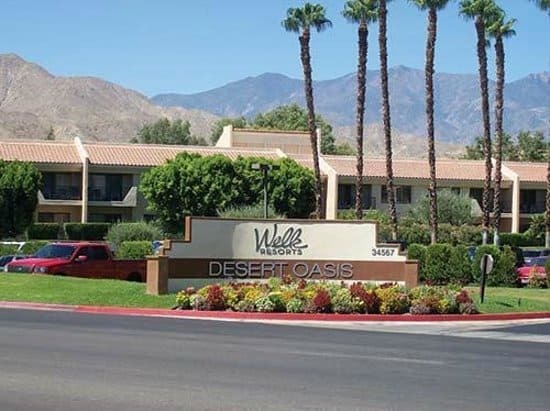 When we travel for more than a couple of days we normally like to have access to a kitchen so my husband decided to book the Welks Resort Desert Oasis. We love California, this is our third time visiting Palm Springs. This desert oasis is located just outside of Palm Springs in Cathedral City, California. We stayed in a one bedroom villa located on the golf course with views of the San Jacinto Mountains. As you guessed, Palm Springs is BIG on golf……we’re not golfers so we didn’t take advantage of this. Maybe one day. Welk Resorts Palm Springs features a resort-style pool and spa, and an adult-only lap pool, a small fitness center, and an activities room with pool tables, foosball, Wii, games and videos. This is a great family style hotel. There were families with their kids enjoying the pool and gaming area. Although we had a kitchen we actually didn’t use it. We normally don’t like eating out every single day, we actually enjoy going grocery shopping where ever we are staying but there were so many amazing other options that we didn’t cook. This wasn’t a sit by the pool kind of vacation but maybe next time we will be able to enjoy the amenities of the hotel. I would recommend this hotel, especially if you are looking for a larger suite that includes a kitchen and living/dining area. It is great for families and just for people who appreciate more room than just a regular hotel room. Have you visited Palm Springs? Where did you stay? Looks lovely i’d definitely like to visit the Palm Springs. Also, thanks for stopping by my blog! That is so awesome that you and your husband go on these spontaneous trips! I’ve never been to Palm Springs Cali but I have in Florida lol, although I’m certain Cali is much much better, as it is for almost everything! It’s not better – just different- Florida is a beach vacation . California you can beach but I have never swam there. 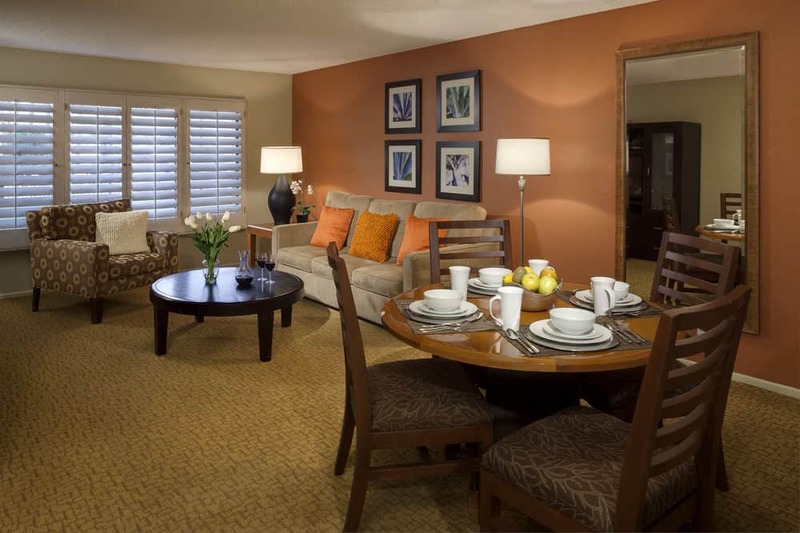 Palm Springs is on my list of places to visit – this looks like such a nice resort! What kinds of things do you guys do while you were there? We visited Palm Springs a few years ago and I loved it! One of my favorite vacations!